AfterShokz Reviews - Is it a Scam or Legit? AfterShokz is a brand of bone conduction headphones that uses patented technology to help you fully experience—and enjoy—any type of music or sound. Even phone calls! Sounds great, right? But will your AfterShokz headphones provide performance equal to their value? 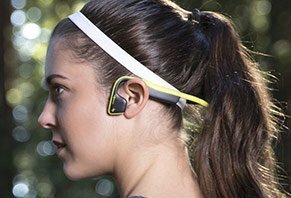 Are they meaningfully different than other bone conduction headphones? Let’s first take a look at exactly what this involves. How Do Bone Conducting Headphones Work? Although the name sounds complicated, bone conducting headphones simply work by using two transducers (one on each side) to transmit sound waves through the bones in your head. Sure, it sounds a little (OK, a lot) weird, but the reality is that your brain still “hears” these sounds just like it would with normal headphones or earbuds. Pro tip: Ever wondered why your voice sounds higher in recordings? It’s because your skull conducts lower frequencies better than the outside air, giving your own voice (at least inside your head) a lower, fuller sound! But bone conduction isn’t necessarily new technology, so there are dozens of other options out there. To explore all your options, try typing, “bone conduction headphones” or “bone conducting headphones” into your favorite search engine. Remember that they’re not all going to feature the exact same design as AfterShokz, but they’ll all use the same basic technology. Speaking of which, is there anything that differentiates AfterShokz from other bone conduction headphones? PremiumPitch – Ensures you’ll be able to enjoy a wide variety of music styles. LeakSlayer – “Releases” sound from the transducers and cancels sounds from the housing, which can significantly reduce the amount of sound leakage (translation: Other people will be less likely to hear your music). Bluetooth Enabled – Your headphones can be used with just about any Bluetooth enabled device, including smartphones, laptops, and PCs. Audrey Says™ - A voice prompt that guides you through powering, pairing, playing, and talking on your AfterShokz headphones. Here’s the thing though: If you researched your options in the previous section, you probably already recognize that many of these technologies aren’t unique to AfterShokz. In other words, they will also be water-resistant, Bluetooth enabled, microphone equipped, and will allow you to hear outside noises better than earbuds. Sure, they might not feature the same PremiumPitch and LeakSlayer technologies, but they might perform equally well for your needs. How much will you pay for all this proprietary technology? Note: AfterShokz are also available through Amazon, Apple, Best Buy, Sam’s Club, and several other third-party retailers. However, the company’s UK site notes that their headphones come with a 7-day return policy, but only if the packaging is unopened. Outside of this, AfterShokz also com with a limited 2-year warranty, which you can process a claim by filing an online form or by calling the company direct at 315-290-3855. Granted, compared to traditional headphones, AfterShokz comes with a fairly high price, although they’re relatively in line with much of their competition. Do AfterShokz’s customers think the price was worth it? Note: Although AfterShokz makes several models of headphones, their Bluez 2 version seemed to be the most popular by a long shot, and nearly all online reviews we found were for this model. Also, many of the company’s online reviews were for discontinued models, so we didn’t include any of these here. On Amazon, the AfterShokz Bluez 2 had an average rating of 3.9 stars based on 260 customer reviews (as of 10/29/15). There, common compliments included high quality sound, light weight and comfortableness, and ease of use. Uncomfortable to wear for longer periods of time. On BestBuy.com, these same pair of headphones garnered 153 customer reviews and a 4-star average rating. As with Amazon, many customers appreciated that they were able to listen to music while still hearing outside noises, the headphones’ ease of use, and the good sound quality. Others, though, didn’t appreciate the sound quality, found them uncomfortable, or experienced repeated quality issues. Now that you have a fuller understanding of AfterShokz headphones, should you pony up the money and buy a pair? Is AfterShokz Your Solution for a Safer Listening Experience? Whether you’re planning to use bone conducting headphones to play games, talk hands-free while driving, or when working out, hearing what’s going on around you should always be a priority. But AfterShokz definitely hasn’t cornered this area of the market, so you have lots of other options to choose from—including local electronics stores and big box retailers. So, even though you’re off to a great start by learning all you can here on HighYa, we’d recommend exploring these options before deciding to buy a pair of AfterShokz. After all, an informed consumer is a happy customer! 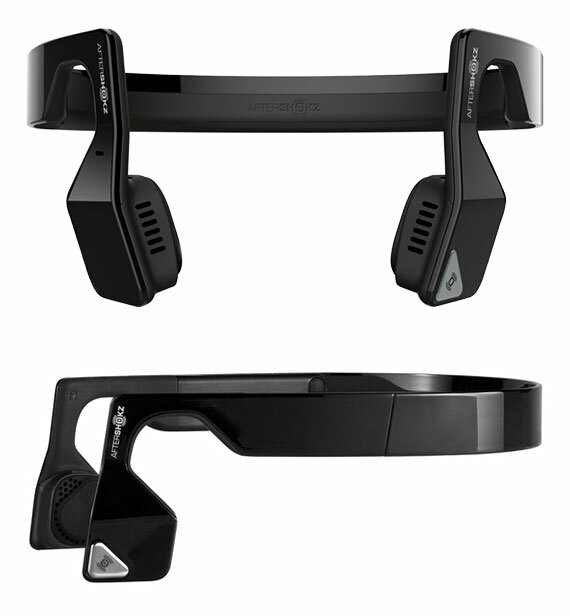 Write a Review for AfterShokz!